Every revolution has had its share of pitfalls and fallacies. Cloud computing which is revolutionizing modern day computing to open new vistas for businesses is not immune to such influences. But as they say every platform becomes better and better with time. Ironing out deficiencies and taking its advantages to the next level is what makes such concepts, exciting and revolutionary. 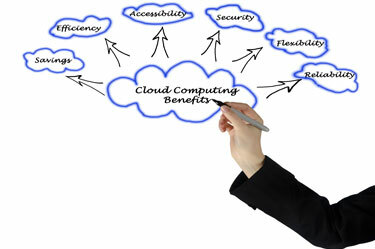 Here, we need to discuss the possible dangers associated with Cloud computing that are difficult to avoid. They are termed as pitfalls that are inevitable and unavoidable even with prior knowledge and education. Fallacies on the other hand are statements or widely held views but may not be true such as if a software project is falling behind schedule you can catch up by adding more people to the project. The concept of Man-month is mythical according to some schools of thought. Not only does adding more people not help, it can sometimes also make the situation worse. Some of the reasons are that it takes a while for new people to adapt to and learn about any project. When the magnanimity or size of the project expands, there is a significant increase in the amount of communication. All this can considerable reduce the time to available for people to complete the project and their work. Another so called law states that adding manpower to a software project that's already delayed, in the hope to salvage it, will delay it even further. A common pitfall is of ignoring the cost of design. As the cost to manufacture software is zero, there naturally comes a temptation to believe there will be zero cost in replacing, remanufacturing or upgrading the same. But, obviously this perspective ignores the substantial cost of designing and testing it in the overall scheme of things. Eventually nil manufacturing cost is one compelling rationale used to justify piracy of software and various electronic data, because online pirates believe that one must not pay for the cost of development, only manufacturing.